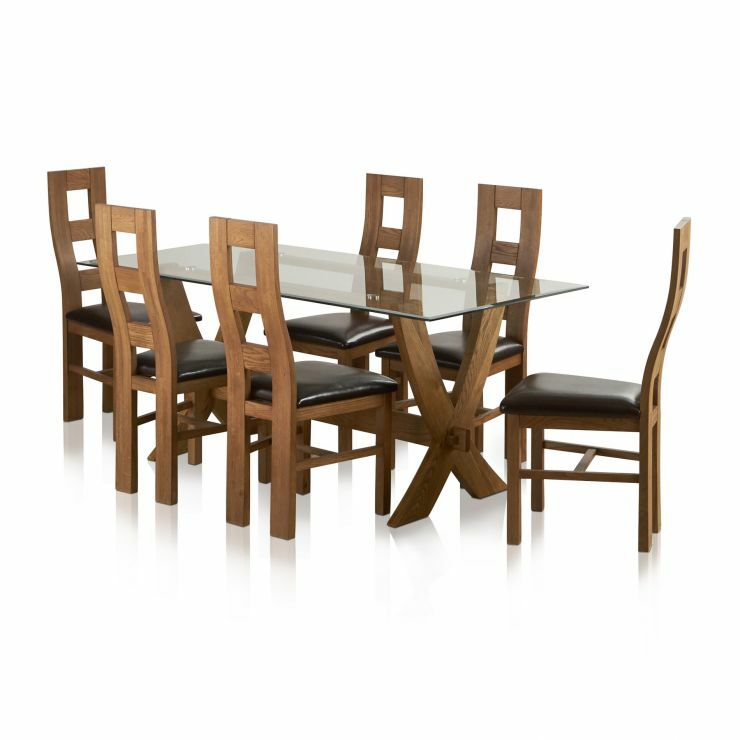 The rustic version of our Reflection table is combined with 6 dark brown leather and rustic oak chairs in this dining set. 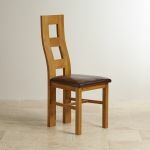 The beautiful wave back of the chairs is echoed in the cross shape of Reflection’s solid oak base. This is a sophisticated dining set, and you can make dining set savings when you buy table and chairs together. 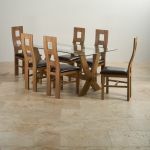 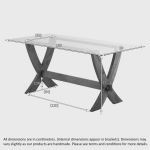 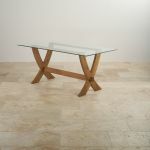 Don’t forget our free delivery comes as standard, and make the most of your dining room. 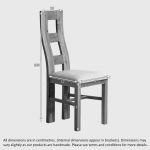 You can choose different chairs with our dining set builder, and customise your dining set to suit your home.